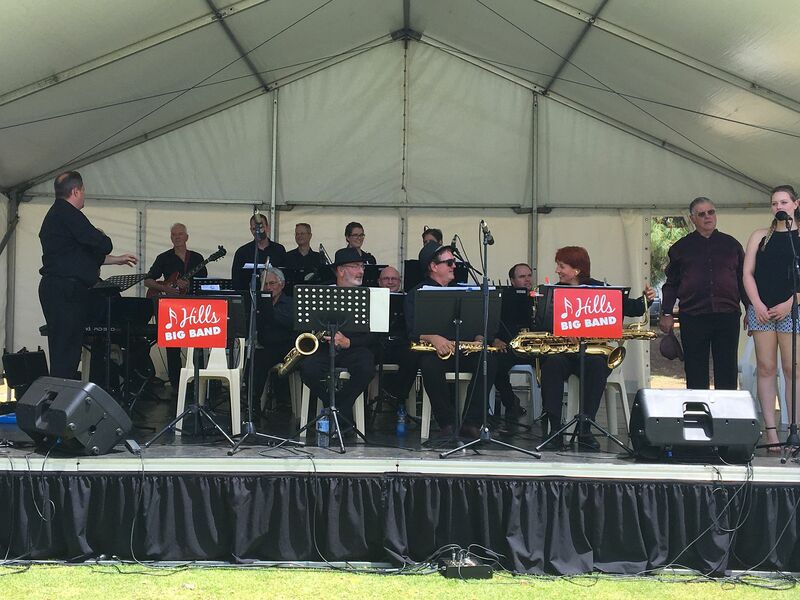 On Sunday 6 November, the Hills Big Band performed at the annual Darlington Arts Festival. A diverse set list included some favourite vocal numbers including "Fever" and "New York New York", as well recent additions "Tall Cotton" and "Monday's Child". 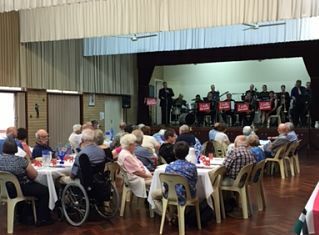 The Hills Big Band were engaged to perform at the Shire of Mundaring's free Senior Week "Sing-Along" on Saturday November 19. This is the second year the band has provided music for a sing-along. The Hub of the Hills is the perfect venue for these events. The repertoire was a selection of movie songs and television themes. So, it was an afternoon of music from The Wizard of Oz, The Blues Brothers, When Harry Met Sally, Titanic, Singin' in the Rain, My Fair Lady, Rocky, and the James Bond films. The audience were in fine voice and joined in enthusiastically with the two vocalists onstage. There were even some ballroom dance enthusiasts cruising across the floor at the front - how romantic! In the intermission, a splendid afternoon tea was provided by the Shire. Everyone there needed to keep up the energy levels for the playin', singin' and dancin'!